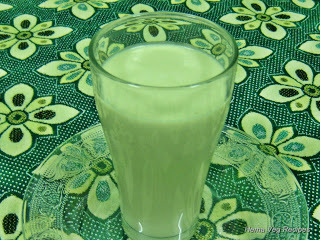 As I said Chutney Powder is very helpful dish in the kitchen. 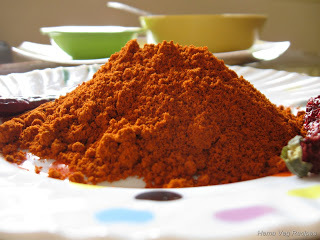 Whenever you cannot make Chutney, you can always serve this powder as sides to any kind of Indian Dish. Once you need to put little effort to make chutney powder. This Powder can be stored for 1 to 1 ½ months in dry climate provided the family consumes occasionally. 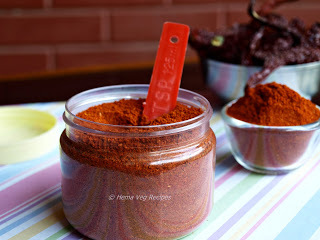 A perfectly made Chutney Powder can become addictive sides with all dishes and your box will be empty soon. 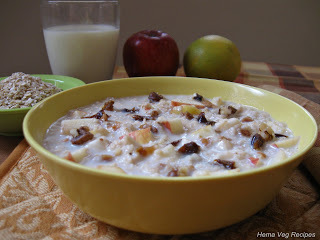 Even a fever sick person will like to eat it with ambli, oats porridge or with curd rice. 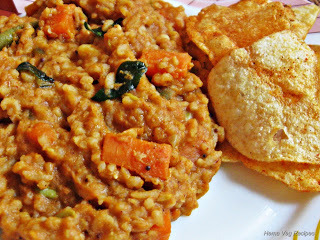 Fry the Bengal Gram Dal and Urad Dal separately (without adding oil) till it turns golden in color. Pour the fried Dals out from their frying pans into a vessel and keep it aside. Pour 3 tsp of oil to a pan, add curry leaves (washed and drained) and red chillies. 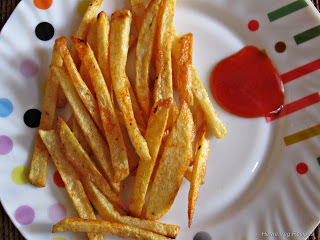 Fry until the chillies start to change color. Then add dals fried above to it along with Salt, Jaggery and Tamarind. 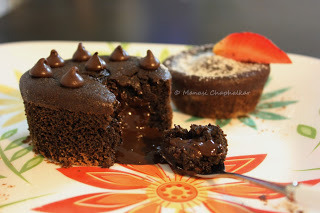 Grind it all in a mixer grinder till the mixture is powdered. 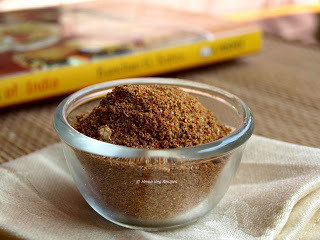 Add desiccated grated coconut to this powder and grind it once more to help coconut to blend well to form the chutney powder. Heat 2 tsp of oil in another pan, add mustard seeds to the heated oil. 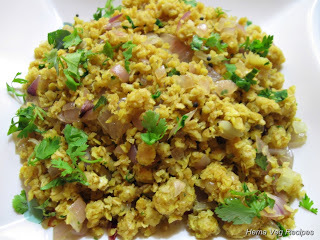 Once mustard seeds splutter, add asafetida (Hing or Asafoetida) to it. 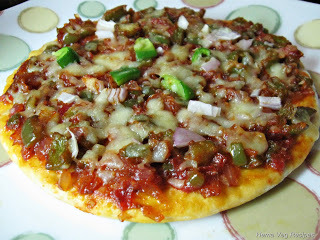 Remove from the flame, add and mix this with the chutney powder. 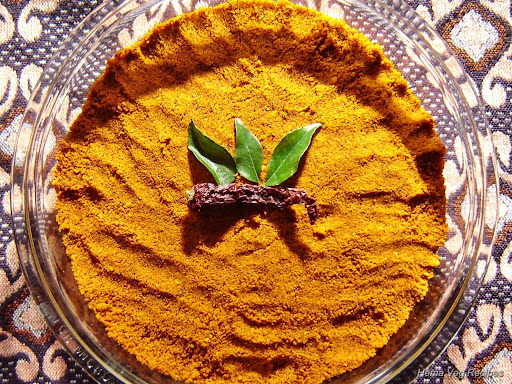 Chutney powder with a little curd can be had with roti, paratha or chapati. 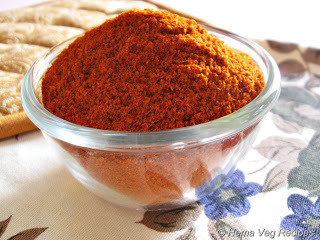 There are many who like this powder a lot and actually prefer it over regular freshly made coconut chutney. 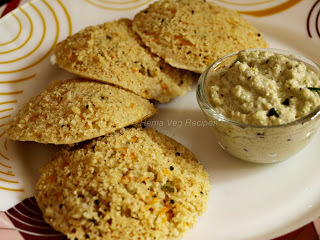 When you are not able to prepare chutney for dosa or idly, one can have them with chutney powder mixed with ghee or coconut oil. 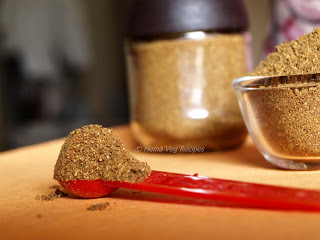 Your Bisebelebath podi was awesome and we liked it very much. 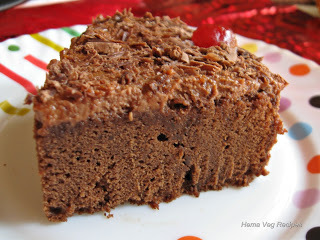 I Really like your chetny powder and other recipes. 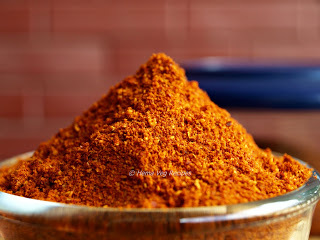 Please do update sambar powder recipes.